"Abraxas speaketh that hallowed and accursed ground which is life and death at the same time. Abraxas begetteth truth and lying, good and evil, light and darkness in the same word and in the same act. Wherefore is Abraxas terrible." 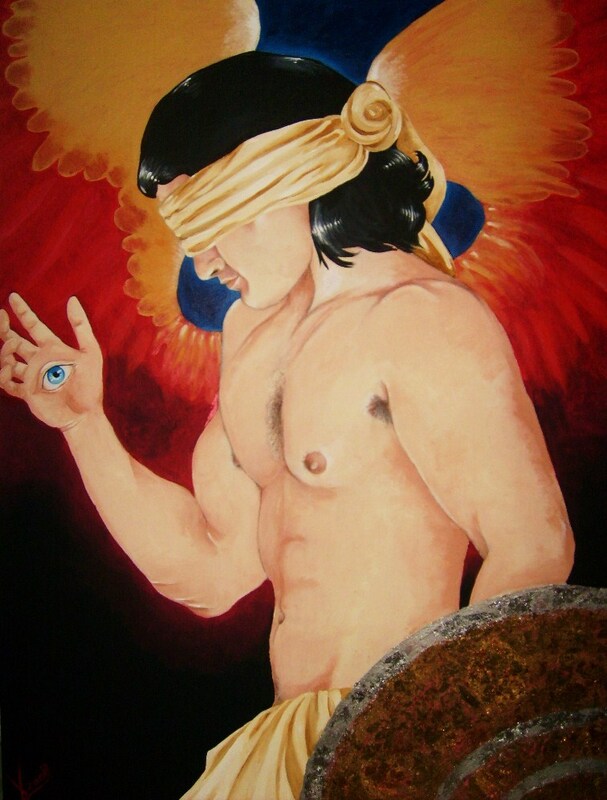 Among certain mystical sects, including some early Christian mystics, it was believed that the Earth was created not by God, but by a blind insane angel by the name of Abraxas who, in his madness, believed that he himself was God. The Basilidian sect of Gnostics of the second century claimed Abraxas as their supreme god and said that Jesus Christ was only a phantom sent to Earth by him. They believed that his name contained great mysteries, as it was composed of the seven Greek letters which form the number 365, the number of days in a year. Abraxas, they thought, had under his command 365 gods, to whom they attributed 365 virtues, one for each day. Older mythologists consider Abraxas an Egyptian god, and demonologists describle him as a demon witha king's head and serpents forming his feet. Ancient amulets depict him with a whip in his hand, and his name inspired the mystic word abracadabra. Charms with his image were believed to protect the wearer from the influences of the Evil Eye (hence the eye here in Abraxas' hand). He is also said to represent God and Satan in dual nature. Here I have chosen to depict Abraxas in angelic form, with the gorgeous red-gold wings inspired by the Byzantine art and culture that I so love and admire. The eye in his palm is a protective symbol, meant to deflect the negative intentions of those with envious hearts. I am in debt to my husband, Aaron, who patiently modeled for this painting and imbued it with his own masculine energy.